U Maung Maung Than graduated with B.Sc degree (Foresty) from the Rangoon Arts and Science University. He completed his Post graduate Diploma in Forest Survey at the international Institute for Aerospace Survey and Earth Science, ITC University, Netherlands in 1988. 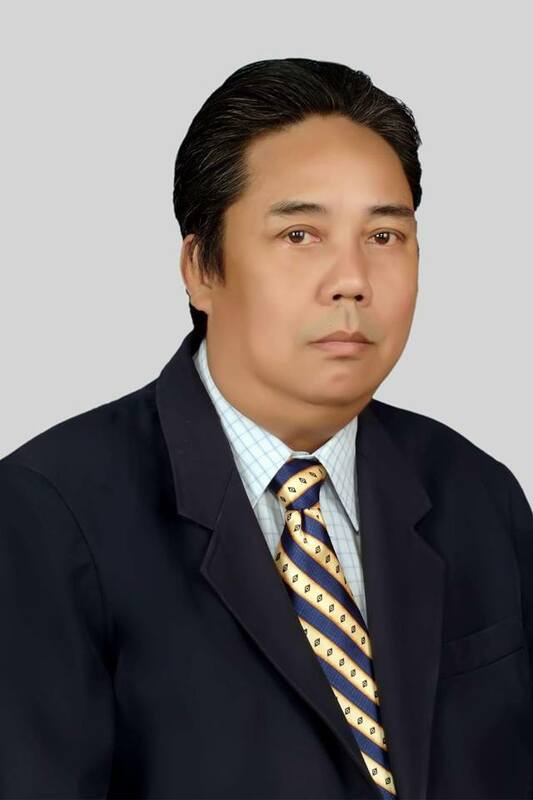 He served the Myanmar government at Forest Department from 1977 to 2013. He set up the Remote Sensing and GIS section of the forest department, known as one of the first government structure which uses advanced geospatial technologies. He has made significant contributions to the development of Remote Sensing and GIS applications in Myanmar by developing geospatial applications for effective management and planning of forest resources, watershed management, biodiversity management, environmental monitoring and disaster management. After 2013, he joined the Environmental Conservation Department and United Nations Environment Program (UNEP). He is now working as a consultant to various initiatives and plays a key role in Environmental and Disaster Management. 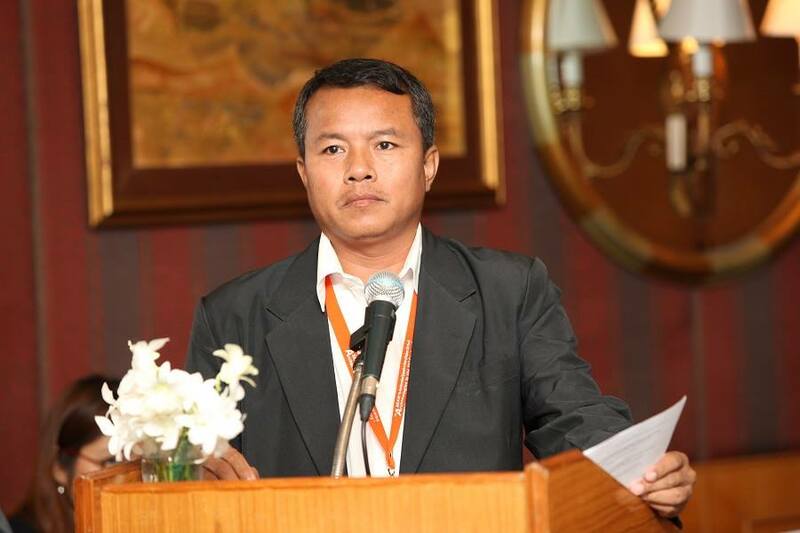 Now, he is currently involved with Kachin State Government for the formation of the State Environment Action Plan. 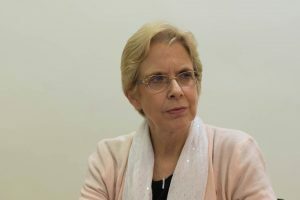 Elizabeth Moore is In-Region Liaison for the SOAS Southeast Asian Art Academic Programme (https://www.soas.ac.uk/saaap/), Prof. Emeritus, South East Asian Art and Archaeology, SOAS (London) and Visiting Researcher Nalanda-Sriwijaya Centre, ISEAS Yusof Ishak Institute (Singapore). She has published books and articles on Cambodia, Thailand and since 1992, on Myanmar, where her father was born. She has been part of the dossier-writing team for the Department of Archaeology’s UNESCO World Heritage nominations of the ‘Pyu Ancient Cities’, (https://whc.unesco.org/en/list/1444) Bagan, and preparations for the ‘Shwedagon and Singuttara Hill. Her current research focuses on the relationship of the ancient and present Buddhist landscape as well as heritage management issues centred on renovation and preservation. Dr Moore has undertaken research in Myanmar (Burma), Cambodia, and Thailand. Prior to completing her PhD at the Institute of Archaeology (UCL) she worked in Nairobi, Jakarta and Singapore. Since joining SOAS in 1992, she has developed a broad-based undergraduate and graduate syllabus for Southeast Asian art and archaeology, including ancient and contemporary aspects of mainland and island areas. Win Kyaing, was born in 1969 in Pakhangyi. He started as the Government employee in Dept. of General Administration in Yesagyo Township since 1987 and transferred to Dept. of Archaeology in 1996. He studied and completed the Post Graduate Diploma in Archaeology in Institute of Archaeology, New Delhi, India (2001_2003). He had experienced in Bagan Archaeological Museum and some excavations in Upper Myanmar. 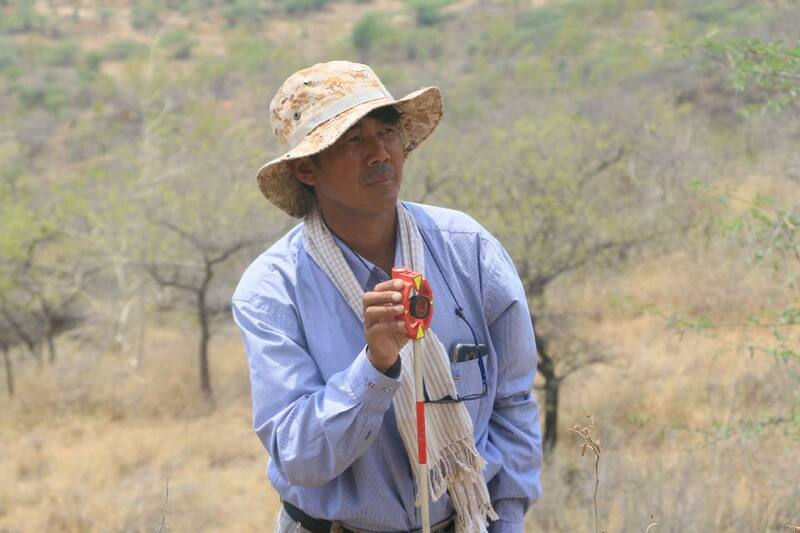 In 2005 he served at the Field School of Archaeology (Pyay) and now he is the principal of it. During those time, he was working on Myanmar Prehistoric study for both teaching and later research in the field. When the Department of Archaeology was preparing the World Heritage Nomination to Pyu ancient cities of Halin, Beikthano and Sri Ksetra in 2012, he collaborated in drafting and activities. 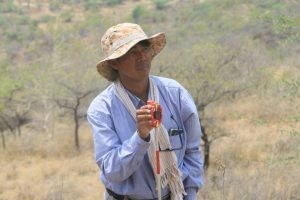 Now he is working in Field School of Archaeology (Pyay) as well as doing research on Pyu Culture. Khin Thidar is a Professor of History Department, Mandalay University, Myanmar. She obtained B.A (Hons) (1993), MA (1997) and PhD (2003) from University of Yangon, Myanmar. She had done several researches works on social history of Myanmar, religious studies of Myanmar and art history of Myanmar especially in Buddhist art. 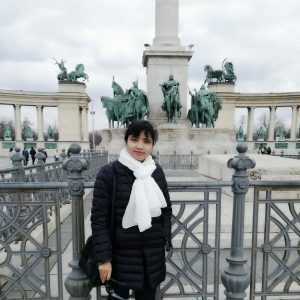 Her research papers have been published in Research Journals such as Journal of the Myanmar Academy of Arts & Science, Myanmar Historical Research Journal, Journals of Department of SEAsian Studies published by University of Malaya and Suvannabhumi published by Institute for Southeast Asian Studies, Pusan University of Foreign Studies, Republic of Korea. 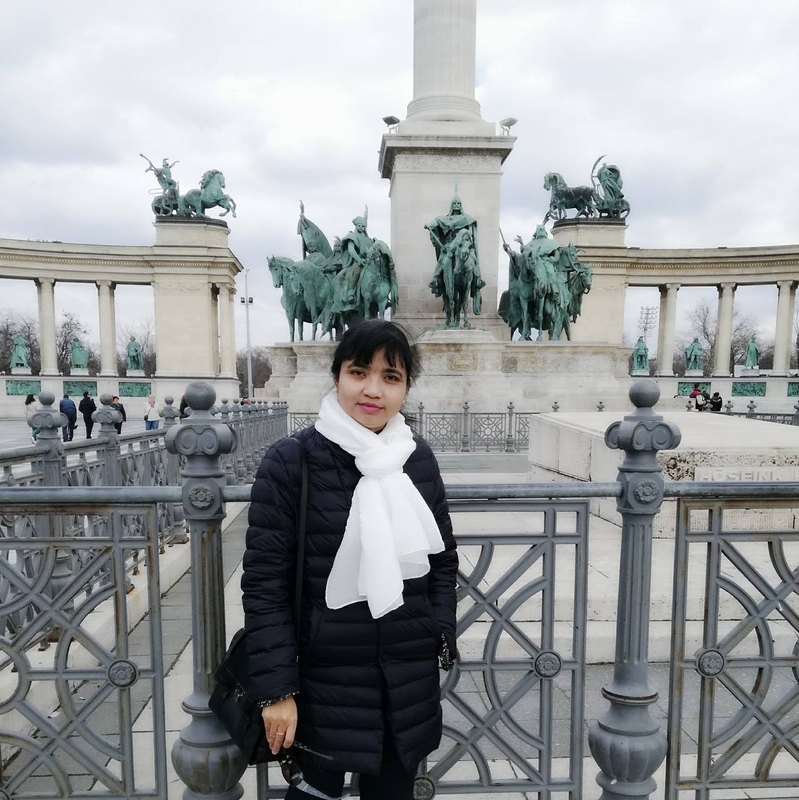 In 2003, Her research paper concerning the Cetiya of the late 18th Century and early 19th century of Myanmar won the Best Paper Award in Arts at Magway University in 2013 and her research paper on Monasteries with Sculptures of Magway Region also won the Best Paper Award in Arts in 2014. Dr Khin Thidar had participated and presented research papers at the International Conferences which were held in Thailand, Korea, Japan and China. Most of her research articles are related with the Buddhist Art and Architecture of Myanmar. Her research books “Theraväda Buddha Säsana in Myanmar (1752-1819)” have been published in May 2017 by Lambert Academic Publishing, Saarbrucken, Germany. She was a Visiting Research Fellow at Central European University, Budapest, Hungary in Winter 2017, hosted by Department of History and Centre for Religious Studies. Nyein Chan Soe is a lecturer in the Department of Anthropology, Yadanabond University, Mandalay Region, Myanmar. He is interested in religious anthropology. He read a paper on “The Belief on Pon Ma Kyi Spirit in joint seminar of Mandalay University and Chiang Mai University (1st ICBMS) for the first time. He participated in Pondaung Primate Field Research headed by French paleontologist for about four years. He actively commits field trips for final students of Anthropology annually. He helped master students of Yadanabon University and Chiang Mai University headed by Thapin Phacharanuruk, Faculty of Social Sciences, Chiang Mai University, submit a paper last year. He did a joint research on Reverse Glass Painting with Dr Catherine Raymond, Professor of Centre of Burma Studies, Northern Illinois University. Then, he read a paper on Sambuddhe Painting at Mandalay University. He read “The Errors Found in the Royal Administration of Burma at the 2nd ICBMS in Mandalay University. Now, he participates in the work of Mrauk-U for the nomination of World Heritage Site. Dr Tin Maung Htwe was born on 6 October 1969 in Pyay, Bago Region. He got his frist degree B.A (Hons) at Yangon University in 1998. In this year, he was appointed Research Assistant 2 at Universities Historical Research Center. In 2002, he got M.A degree and he was transferred his post as Tutor at History Department , Pyay University. After four years later, he achieved Doctor of Philosophy (Ph.D) under the title of “ Religious conditions of Sriksetra(?). Now, he is serviing as Associate Professor at History Department, Kalay University. Since 2002, he has been doing and publishing his research works over 11 research papers.